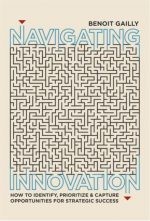 Most innovation ideas do not lead to robust business opportunities, and most organizations try to pursue more business opportunities than they can actually successfully handle. In order to effectively manage innovation, firms must therefore select the opportunities for which a convincing business model can be designed and which collectively form a balanced and consistent portfolio. The fourth innovation management challenge is therefore to focus on the right portfolio of innovative business models: asking the right questions, designing competitive business models and mobilizing the right resources, valuing those business models and combining them to build a consistent and balanced portfolio.